A bill that would reauthorize the country’s aviation programs that includes a key trucking provision is expected to reach the Senate floor as early as this summer, the measure’s sponsor indicated July 24. 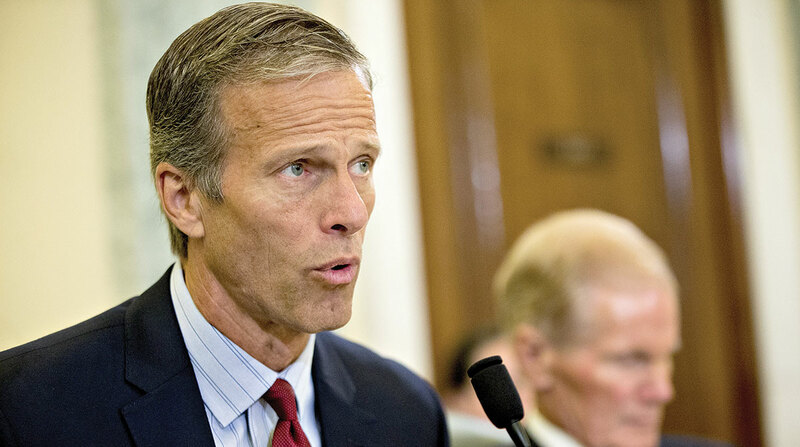 Commerce Committee Chairman John Thune (R-S.D.) told reporters that his colleagues “continue to make progress” on key funding and policy bills that are likely to be called up for floor debate in the coming weeks. Among the bills is a Federal Aviation Administration authorizing measure. “We’re just going to continue to keep our heads down, stay in our lanes and keep getting the work done for the American people,” Thune added. The FAA programs’ authorization is set to expire at the end of September. Majority Leader Mitch McConnell (R-Ky.), the chamber’s floor manager, has yet to schedule a debate on the FAA bill. Tucked in the legislation is a section designed to ensure nationwide uniformity on meal-and-rest-break rules for truck drivers. The provision essentially would clarify a 1994 law to block a California law on meal and rest breaks. That state’s law from 2011 requires employers to provide a “duty-free” 30-minute meal break for employees who work more than five hours a day as well as a second “duty-free” 30-minute meal break for people who work more than 10 hours a day. A House-passed FAA policy bill includes a similar provision.